NPCC Recruitment 2018 2019 | NPCC invites Application for the post of 15 Site Engineers, Junior Engineer (Civil Engg) Posts. NPCC Site Engineers, JE Jobs Notification 2018 Released. Candidates are requested to Download Application through Official website www.npcc.gov.in. Opening Date and time for Submission of Application is 01.10.2018 and end up by 22.10.2018. 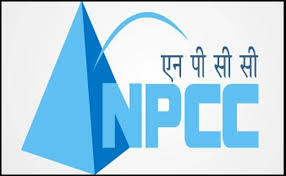 You can check here NPCC Recruitment Eligibility Criteria, Pay Scale, Application Fee/Exam Fee, NPCC Selection Process, How to Apply, NPCC Syllabus, NPCC Question Paper, NPCC Admit Date Release Date, NPCC Exam Date, NPCC Result Release Date & other rules are given below… Aspirants are requested to go through the latest NPCC job recruitment 2018 fully, before applying to this job. As per the recent NPCC notification 2018, the eligibility details like Educational Qualification & Age Limit for the Site Engineers, JE job has given below. Candidate should have BE/ B Tech in Civil Engineering (at least 65% marks in aggregate) from reputed AICTE Approved engineering college with at least 3 years of work experience in any of the infrastructure construction company and having experienced in road projects (NHAI/NHIDCL or hilly regions), multi-storied building structure like RCC Works, Steel Structures like truss. Candidate should be having knowledge of aluminium shuttering/ Kumkang shuttering system or advance shuttering systems of international standard. Candidate should have exposure of use of electrical & mechanical machineries with regards to safety systems. Candidate should be aware of civil engineering related software such as MS Project, Primavera, Autocad 2D & 3D etc. Candidate should have BE/ B Tech in Electrical Engineering (at least 65% marks in aggregate) from reputed AICTE Approved engineering college with at least 3 years of work experience in any of the infrastructure construction company with Electrical work experience in multi-storied building structure, high mast lighting system in the stadium project, 11/0.415 KV substation, Solar system and cable laying work. Candidate should be well versed with the Relevant IS standards related to HT, LT and DG set. Candidate should be aware of engineering related software such as MS Project, Primavera, Autocad etc. NPCC may follow the following process to select the candidates. How to apply NPCC Site Engineers, JE Vacancy?